I have warned Ministers in the Department for International Development to not let tackling HIV slip down their agenda and to involve HIV groups in the planning of a summit on family planning to be hosted in the UK this summer. 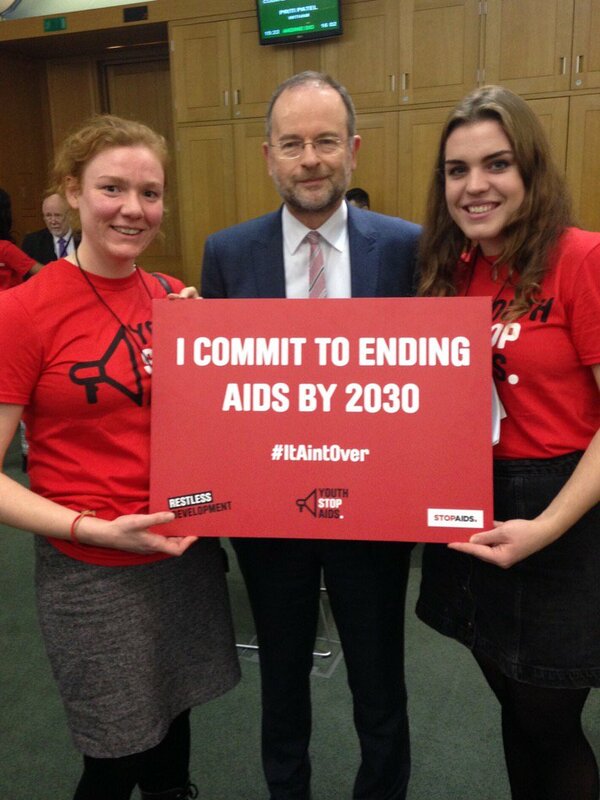 I recently met with local campaigners Sian Beynon and Ella Davis from Youth Stop AIDS in Parliament, who warned that the UK Government must do more to help meet the UN Sustainable Development Goal commitment to ending AIDS by 2030. I recently met with Youth Stop AIDS campaigners from my constituency who are optimistic about the Government’s international family planning summit in July. But they’re concerned to ensure HIV is an integral part of that conference. Can the Secretary of State assure me that an HIV organisation will be included in the civil society steering group that’s being set up to advise on planning for the summit? Now more than ever, the Department for International Development has to step up on sexual and reproductive health and rights. Millions around the world depend on it. We have a US President who has decided to ban US financial support for organisations involved in abortion services overseas, via the so-called “global gag rule”. We cannot afford to go backwards. I have also written to the Secretary of State asking her to ensure that tackling HIV/AIDS is included in her Department’s strategy following my meeting with Youth Stop AIDS, who I pay tribute to for their tenacious campaigning. You can read my exchange with the Minister here.